Our top of the line, gold-foiled ministry credential. It features a more intricate design with gold foil details around the outside and the ULC gold seal. The deluxe version of our Credential of Ministry, for those who only want the best. This credential features the beautifully designed gold foiled borders as well as the seal of the church and other gold touches. 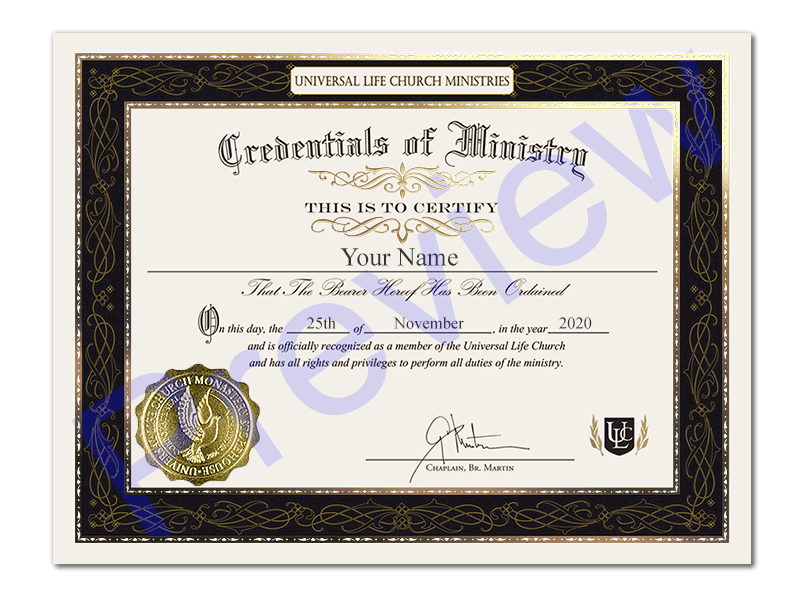 It can be used to display or verify your legal status within the ULC as a fully ordained and licensed minister. It has a black and gold motif and a richer look if you are using it for display purposes or to present to friends, family, and clients.